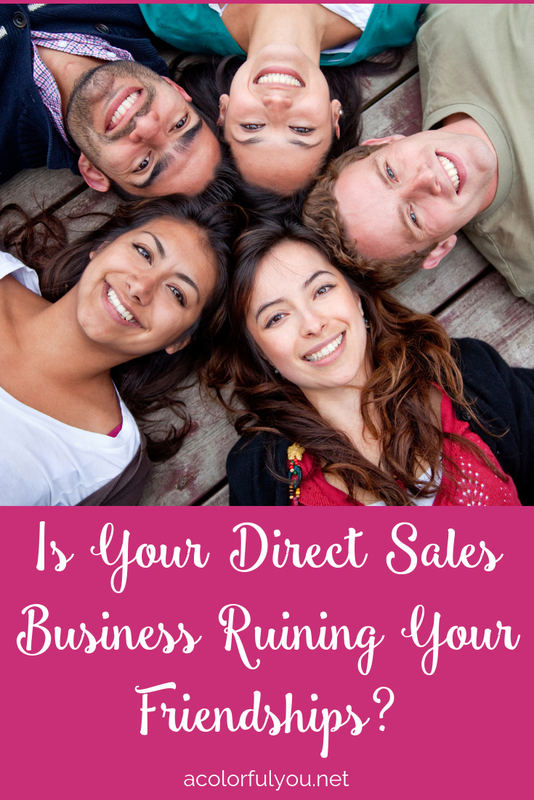 Is Your Direct Sales Business Ruining Your Friendships? 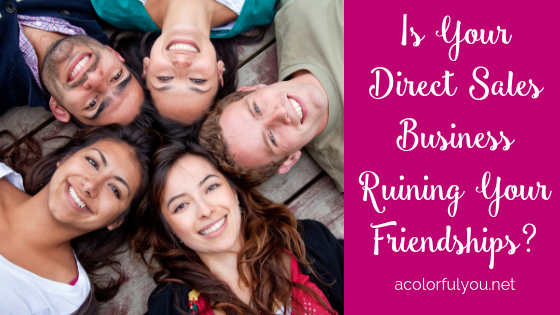 Is direct sales ruining friendships for you? Have you noticed people unfriending you on Facebook, not responding to your messages/texts/calls, not wanting to hang out with you, etc? It may have something to do with the way you are running your business. Direct sales doesn’t have to hurt friendships! It can actually help them! The #1 rule in business, especially online business, is build relationships! Building relationships and connecting with your customers is crucial in any business, but especially in direct sales. I say this all the time, but people need to know, like, and trust you before they will buy from you, and even more so if they are going to be a repeat customer! So your main focus with your business should be building relationships, not selling. Don’t worry so much about the sales – those will come when you connect with people. Treat your customers like a real person, a friend even, not just a sale. Take care of your customers. Get to know them and allow them to get to know you. I feel like I should put this one in all caps and shout it from the rooftops. STOP ADDING PEOPLE TO GROUPS! Most people cannot stand this and it just turns them off from your business. So, if you are doing this, it is very likely hurting your business, not helping it. Now, Facebook has pretty recently changed some things so that people have to accept an invite to a group, but still – they’re probably not going to if they were just added without their permission. Plus, a smaller engaged and interested following is waaaay better than a larger unengaged, uninterested audience. Really, truly. Quality is much better than quantity. Having tons of people in your Facebook is not good for your business, especially where Facebook is concerned. According to Facebook, having an engaged following is more important than a large following! Don’t do business on your personal profile! That is against Facebook’s policies and you could find yourself in Facebook jail if you do. This is a great way to get unfriended, unfollowed, and marked as spam. 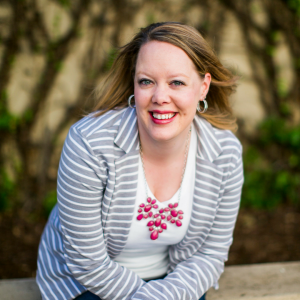 Facebook business pages exist for a reason….for business! This will help keep you from ruining friendships if you keep your personal profile for your personal life, things that your friends want to see and interact with you on, and keep your business to your business page where anyone who wants to keep up with your business can “like” it and follow and interact with you there. Now I’m not saying you can’t ever share or post something related to your business on your personal profile, but it should not be very often, especially if it is a “sales” post. Keep most of your business related content to your business page so you don’t end up annoying your friends and ruining friendships. If all they see is salesy, spammy posts on your profile, they’re going to assume that’s all you care about. They’re going to assume that you are just a sale to them, more than a friend. And you don’t want that. People do not get on Facebook to be sold to! If you are always just posting salesy stuff, even on your business page, you will be turning people off of your page. You should be posting only one, maybe two sales post out of every 10 posts and other types of posts for the other 8 or 9. 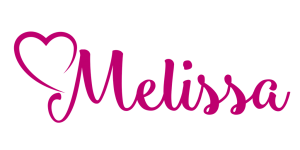 Think encouragement, motivation, inspiration, how-tos, behind the scenes, helpful info, tips/hacks etc. Give them a reason to want to follow you, see your posts, and come back to your page. Plus, this will help them get to know you, which helps them to like you and trust you and buy from you! This is so important! People can see right through inauthentic people! Your followers, customers, and friends want to connect with you on a real level. They don’t want to have to be afraid that every conversation they have with you or every post they see is going to have to do with promoting your business or trying to sell to them somehow. They will see right through that and will not want to interact with you. Don’t be afraid to be yourself, be authentic, and even get vulnerable. Connect with your followers and customers genuinely, because you truly do want to get to know them, not just to get a sale. What do you do in your business to ensure you are building relationships and not hurting your friendships? Leave a comment and let me know!